As Boca Raton Football Club continues to prepare for the National Premier Soccer League (NPSL), the club has announced two preseason games that will pin Boca Raton FC with a familiar PDL foe, as well as one of the best college soccer teams in South Florida. 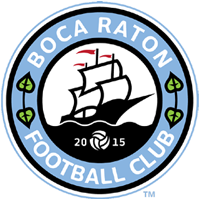 Boca Raton FC will take on FC Miami City on Saturday, March 31 at Tropical Stadium at 6pm. For head coach Jim Rooney, this will be his club’s first test as they prepare to navigate an NPSL season filled with hard competition. Based in Miami, FC Miami FC plays in the PDL’s Southern Conference where they just finished runners-up to SIMA Aguilas. Boca Raton FC will then face-off versus Lynn University on April 20 at Bobby Campbell Stadium in Boca Raton, in what is also a traditional game versus the university before every season. Lynn University just finished the season as the 2017 NCAA Division II National Runner-Up after falling in overtime 1-0 to Charleston. Lynn finished the season 14-4-3.